Even the garden society has been squeezed to the point that the group voted this past week to sell a 135-year-old house and gardens on Beacon Hill. Whether it will be saved or torn down for town houses is the latest test of Seattle’s willingness to pave over its past. Just how intense is the real-estate gold rush in Seattle? Even the garden society is selling out. 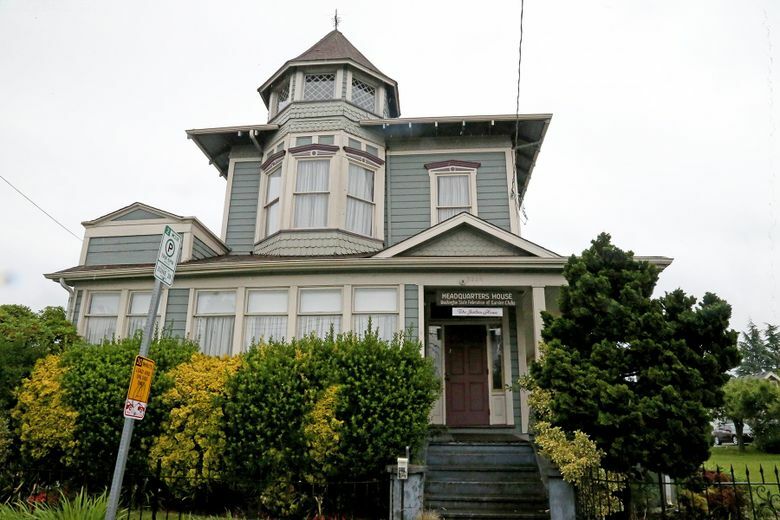 But it’s what they’re proposing to sell — the oldest house on Seattle’s Beacon Hill, a spot on the National Register of Historic Places — that could spark one of the biggest tests yet of how willing we are to pave over the past in order to develop anew at any cost. The news is that this past week, the Washington State Federation of Garden Clubs, formed 85 years ago by women’s societies to beautify their neighborhoods, voted to put up for sale the Beacon Hill Garden House. It was built in the woods atop Beacon Hill six years before Washington was even a state. What’s roiling the garden club is that for more than 40 years the Queen Anne-style house, with a tower, verandas and leaded glass windows, has been protected by a deed that says it “shall be maintained as an historic site.” It can’t be sold for any commercial purpose. But the state garden club recently went to court to get that restriction removed. Emails to the group’s directors didn’t get a response. But the picture painted in court filings looks like the one faced by countless nonprofits during these boom times. Namely, that the high costs of staying in an old building can be crippling. While the allure of selling in a red-hot market is near irresistible. Recently I wrote about the bulldozing of an 118-year-old Central District black church, Cherry Hill Baptist, to make way for town houses. It fell to these exact forces. Carter said no decision has been made about putting the Garden House on the market, or under what terms. It was the Jefferson Park Ladies’ Improvement Club that gifted the house and pear orchards to the state garden club, in 1977. The premise of that gift was that it would all be preserved, forever. But Seattle is remaking itself so fast that forever has become a fluid concept. During the court case, a public notice was put out calling for anybody affiliated with the Ladies’ Improvement Club to come forward to argue to keep their historical-deed clause. But that club dissolved in 1983. So the court found there is no longer anyone with an interest in keeping the property a historic site, and canceled the deed clause. This change to the deed dramatically jacks up the probable cost to preserve the home. It’s on three lots totaling 18,000 square feet a few blocks from Beacon Hill’s light-rail station. The King County assessor values the land alone at nearly $2 million. That’s likely low, though, because new zoning rules proposed by the city would allow a four-story apartment building with 30 to 40 units, or alternatively 18 or so town houses. The post-development value for either would be north of $10 million. Carter, who has run the house for nine years (the club rents it for weddings and other events), said historic-preservation groups have expressed interest in trying to buy it. But to defray their costs, they would sell the two lots that contain the orchard and gardens. There’s a public meeting scheduled for 7 p.m. Tuesday to talk about what to do. It’s being hosted by the Beacon Hill Garden Club and a newly-formed Beacon Hill Seattle Historic Preservation Coalition, Williamson said. Maybe nothing so potent as the storm of prosperity.